a little reprise in honour of an old favourite of mine, the deceivingly simple cacio e pepe. deceiving because, to make a good creamy cacio e pepe, you need a bit less calculating, a bit of love for the few items required, and a bit of practice. adapted from rachel's true to roots recipe. serves two. this illustrated recipe is available here with all the others, with free shipping til 17th november. ciao! per quest'ultimo una carta canson per tecnica mista da 200g almeno. basta che sia spessa e non lucida! Love it! Just dicovered your work and I really enjoy it! Congrats! 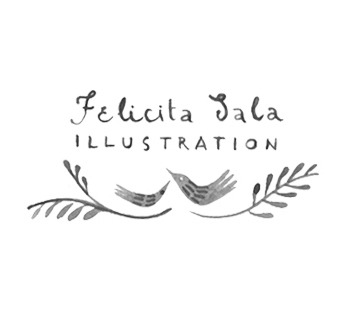 Just discovered your work/blog - love the illustrations! They have such a nice hand-drawn quality and I love the watercolor look of the type. Gorgeous! I would love to buy a book of your illustrated recipes-do you have any plans to publish one? Che bellezza! 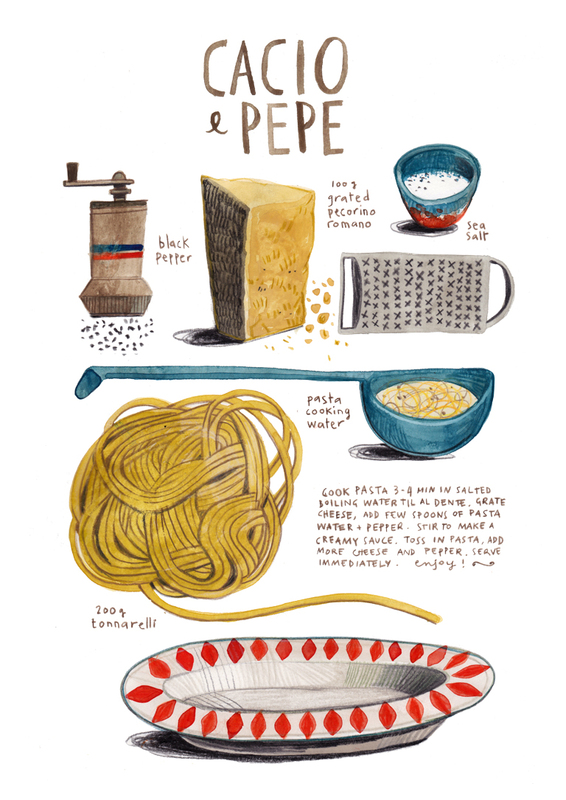 I love this series of illustrated recipes. I'm heading back to Italy this summer, might have to add a couple pages to my sketchbook for some recipe watercolors. Sei bravissima!